ARUA – Onduparaka will be hoping they can return to winning ways when they host URA FC at the Green Light Stadium on Tuesday. Sadic Sempigi side are in a bad period at the moment, winless in any of their last six League encounters. In their last game, they drew 0-0 at home to Kirinya in a game that they created several chances but failed to find the back of the net. Despite the rough patch, Sempigi is optimistic they can bag all three points on Tuesday. “We are set for the game knowing that we haven’t had good results in the recent past, said Sempigi ahead of Tuesday’s encounter. We have prepared very well to try and get better results and i know if the players play according to plan, we will win the game. “We have been watching their (URA’s) games and we have prepared to counter their system of play. Onduparaka will be without defender Sabir Simba, goalkeeper Richard Anyama and former URA skipper Oscar Agaba who are all injured. However, they welcome back Solomon Okwalinga and Abel Eturude who missed the Kirinya JSS game. For URA, they head into the game boosted by the return of head coach Sam Simbwa who has completed his four game ban. Simbwa was slapped with the ban after tribal comments he made following his side’s 1-1 draw away to Kirinya in December. In his absence however, URA have performed fairly well, winning two and drawing one of their four games. However, their last game did not go according to plan, losing 1-0 at home to Maroons. With no telling injury issues, the Tax Collectors named a strong squad of 20 that will feature on Tuesday. 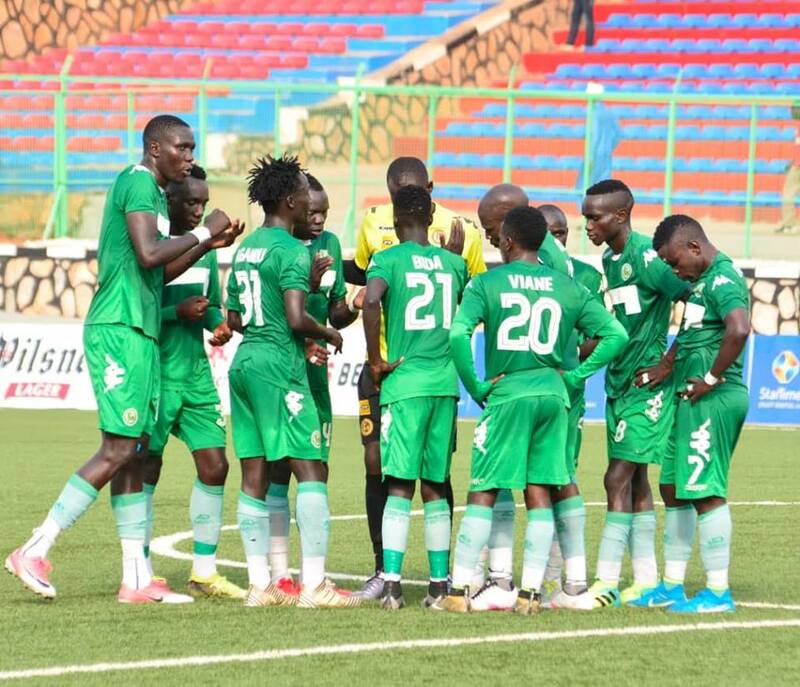 James Alitho, Alionzi Nafian, Hudu Mulukyi, Vitalis Tabu, Allan Mugalu, Said Kyeyune, Peter Lwasa, Patrick Mboowa, Charles Ssempa, Moses Seruyidde, Benjamin Nyakojo, Abudallah Nyanzi, Matthew Odong, Joackim Ojera, Dickson Kigongo, Ronald Musana, Cromwell Rwothomio, Yeseri Waibi, Shafik Kagimu & Robert Omunuk. This will be the 6th League encounter between the two sides ever since Onduparaka joined the top tier in 2016. In the first five, URA have won two, Onduparaka one and the other two ended in draws. The first game between the two ended in a 3-1 win for URA, this season. Last season, Onduparaka took four points off the tax Collectors including one in a goalless draw in the reverse fixture. Onduparaka have won only one of their last 7 games in all competitions (D3 L3). The sole victory in that period came in a 1-0 win over Kirinya JSS in the Uganda Cup. At home however, they have not lost any of their last six games (W3 D3). Their last loss at the Green Light Stadium came in a 2-0 defeat at the hands of KCCA nearly four months ago. For URA, They have lost only one of their last 5 games in all competitions (W3 D1). The sole loss came at home to Maroons in their last league game. Away from home, they are still one of only two sides (the other being Vipers), yet to taste defeat this season (W2 D6).